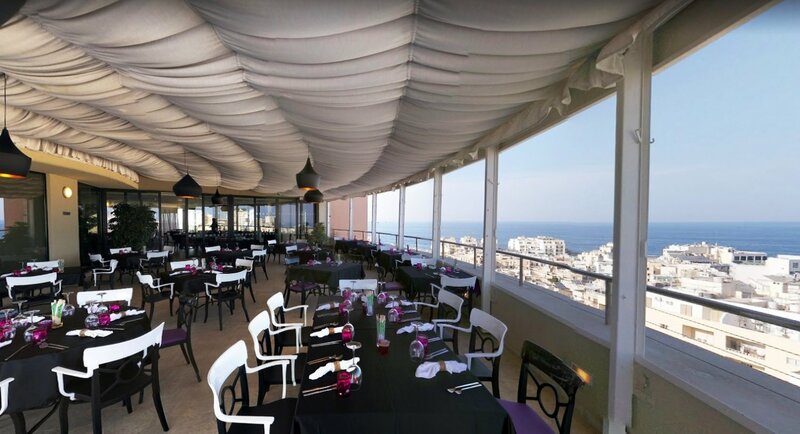 TemptAsian is a rooftop fine dining restaurant with panoramic views of the Sliema and Valletta skyline and situated within the stylish urban boutique hotel, The Palace. The cuisine at the TemptAsian restaurant is a contemporary take on various influences stretching from the South East to the Far East of the Asian continent. Dishes have a unique twist with a mix of flaviours and cuisines and the restaurant also specialises in sushi. The classy interiors of TemptAsian include private dining and lounge areas which open up to a sizeable terrance with breathtaking views... especially magical when there is a local festa and colourful fireworks visible in the evening. Diners can make use of the hotel's underground car park.